In January 2013 PBI accompanied members of the Inter-Church Justice and Peace Commission to Lower-Calima (Valle del Cauca, Pacific Coast). 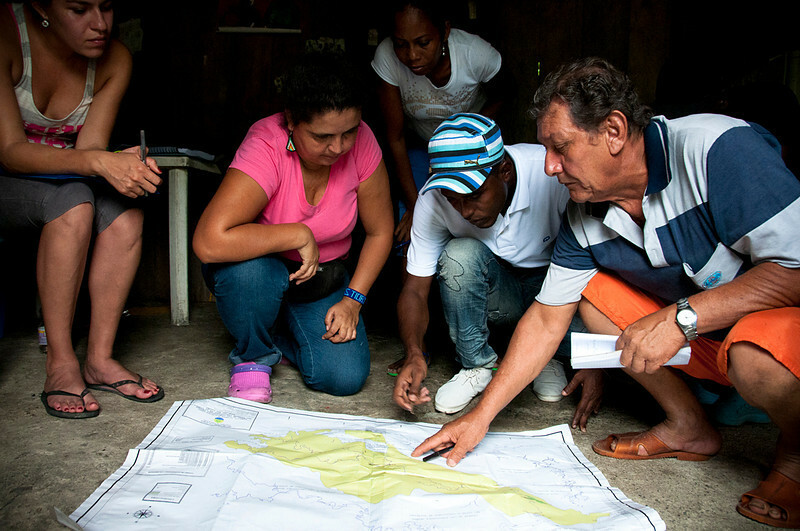 The Commission accompanies the Afro-Colombian community from the hamlet El Crucero in this area since 2010. Laura Chaparro (left) and Maria Eugenia Mosquera (pink blouse) have come in order to explain to the community how they can gain titles for the land on which they have been living for generations.